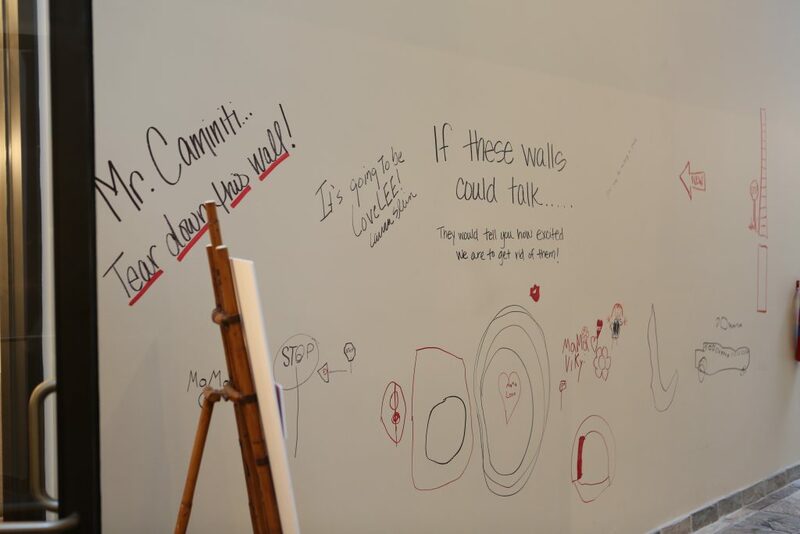 If you have been in the Arlington Design Center, you have seen our Grafitti Walls become more consumed with inside jokes, inspirational quotes, images and words of wisdom. We are happy to announce that construction has begun! Through the next couple months we will keep you posted as we move our mobile showroom around the construction site. We will be open during construction so please follow the building signs to guide you to our helpful staff. Currently we are in the warehouse space waiting to answer any questions you may have. Two become one! 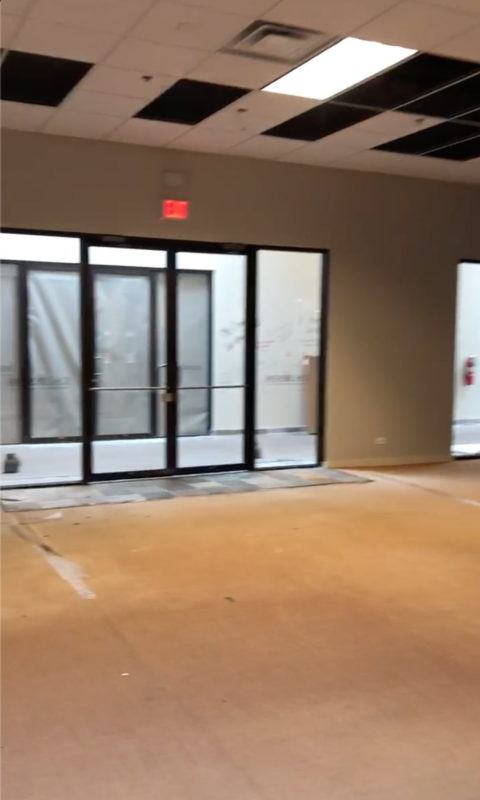 The doors you see in the back middle is the “old” entrance to the warehouse from the hallway. The opening on the left is the walkway from the old furniture showroom to the warehouse. 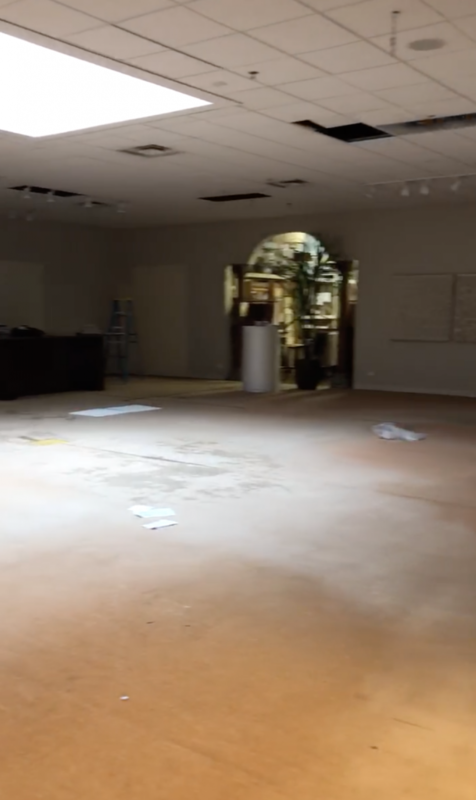 You can now see that the furniture and lighting showrooms are all one cohesive space.